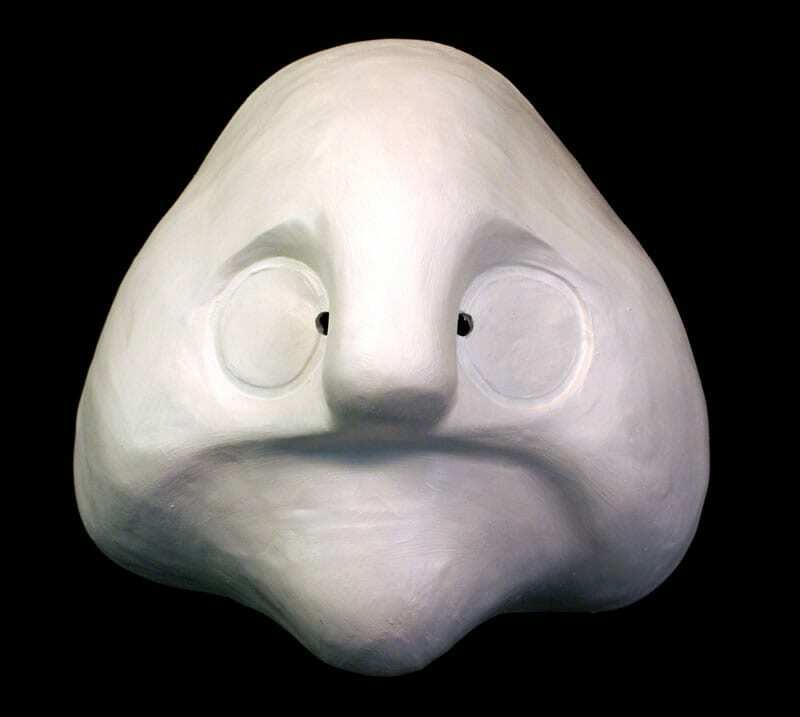 Blobbala is actually just a sculptural recreation of a blob fish. Jonathan saw the blob fish in pictures and immediately thought it would make a great larval mask. This mask is one of the most successful forms in the collection. 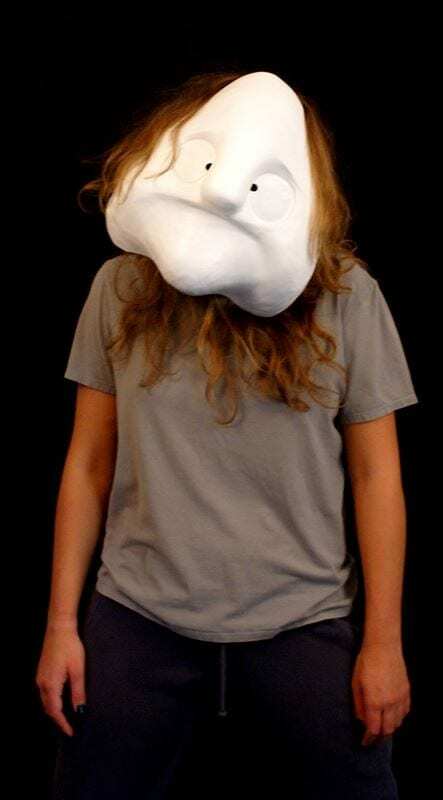 This size and expressive qualities never cease to inspire hilarity in the relationships created and in the constant inability of this mask to play its way to a solution to any problem. The mask and the counter mask in this larval are strong. The mask inspires a play of movement and gestural qualities that create a true understanding of the actor’s relationship to the form. 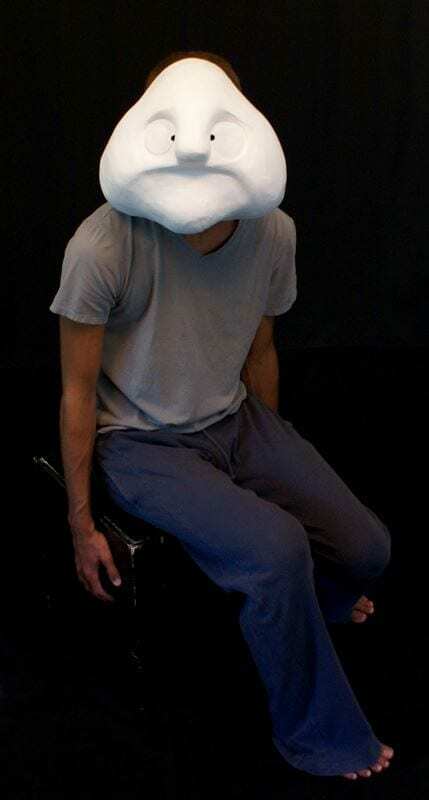 This is essential in the training methods that use the larval masks to teach the student actor the mechanics of acting. Although the larval masks were once Basel masks they have departed from the region they cam from and have become much more than their inventors ever imagined they would. They have become insects, animals, humans, simple architectural forms, fish, retiles and jut fantasy beings. The larval masks are a joy and something great to share and discover.